SANTA CRUZ, Calif., Jan. 16, 2019 (GLOBE NEWSWIRE) -- Plantronics (NYSE: PLT), an audio pioneer and unified communications technology leader, today announced the launch of Calisto 3200 and Calisto 5200 portable, personal speakerphones for personal computer (PC) and mobile devices. With 360-degree audio in a compact device, the new Calisto 3200 and Calisto 5200 share a simple plug-and-play design so individuals or groups of people can have a professional audio conferencing experience, from any room or remote location. 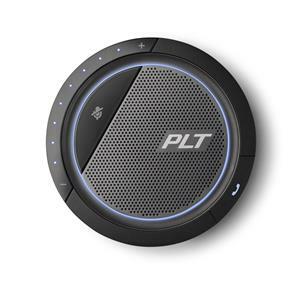 The Plantronics Calisto 5200 Series is a portable, plug-and-play personal speakerphone for PC and mobile devices. According to a 2018 study by Oxford Economics, only 30 percent of employees say their company has the adequate conference room space it needs to make private or conference calls. Instead, these workers are leaving the office and relying more heavily on remote working options, making it necessary to have the right tools for effective collaboration withcolleagues and customers, no matter where they are.